MongooseIM is a robust and efficient chat (or instant messaging) platform aimed at large installations. Designed for enterprise, it is fault-tolerant, can utilise the resources of multiple clustered machines, and easily scales for more capacity by simply adding a box or VM. 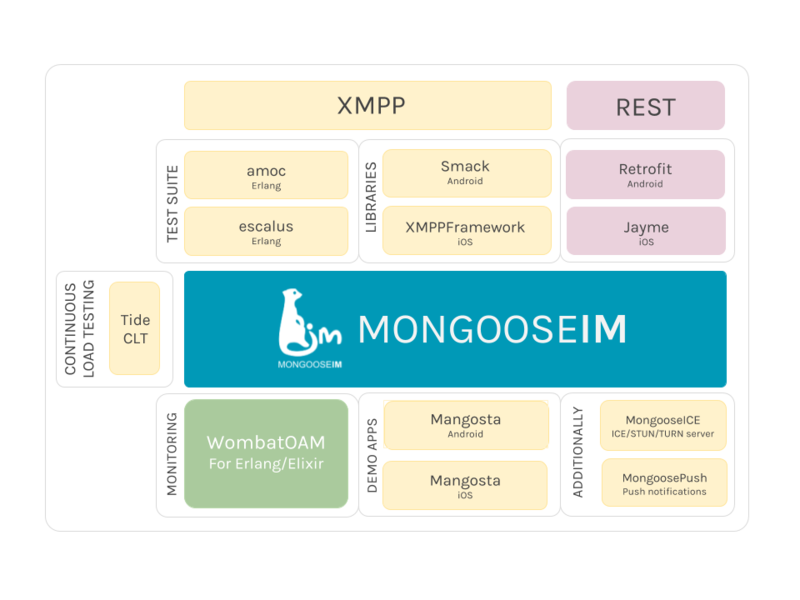 The MongooseIM platform includes several server-side (backend) and client-side (frontend) components. We provide a test suite, metrics, a load testing platform, and a monitoring server. We recommend third-party, open source client libraries for XMPP and REST API.